Uber reached the 2 billion ride milestone on June 18, just 6 months after hitting 1 billion according to Uber CEO Travis Kalanick. “It took five years to reach our billionth trip, six months to reach the next billion … and we’ll hopefully reach our third even more quickly,” Kalanick said in a Facebook post. “Thanks to all the drivers out there for making every trip possible.” This equates to a pace of roughly 5.5 million completed trips per day. 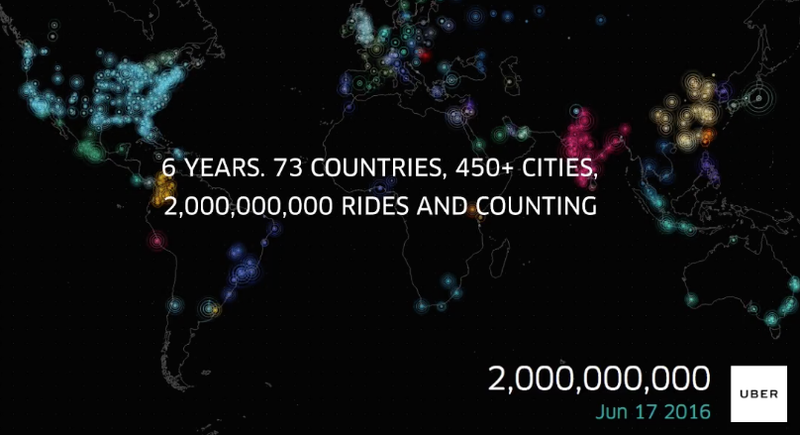 Uber is now in 450 cities around the world. So what’s the reward for the lucky 147 drivers and riders? “We’re giving $450 to each,” said Kalanick. Last year Didi Chuxing arranged 1.4 billion rides in China, more than Uber has done worldwide in its history up until its recent 2 billion ride announcement.